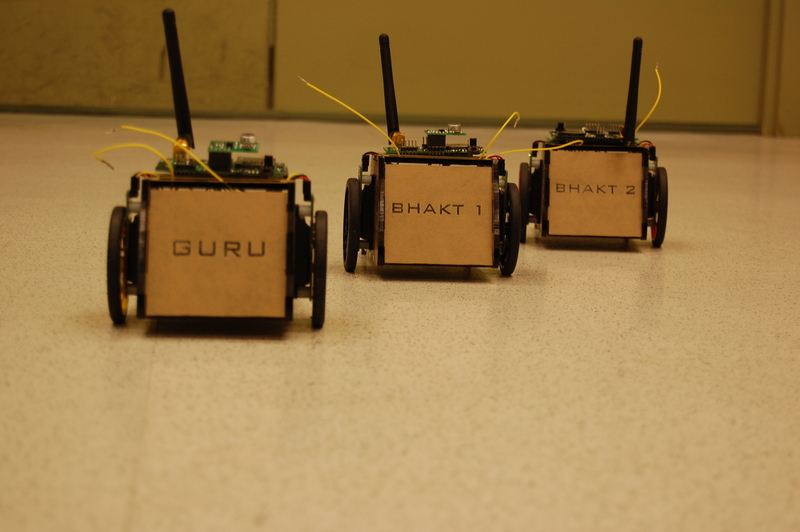 GuruBhakts, are wireless sensor nodes based Robots, showcasing the Leader-Followers (Guru-Bhakts) behavior on the wireless sensor network. 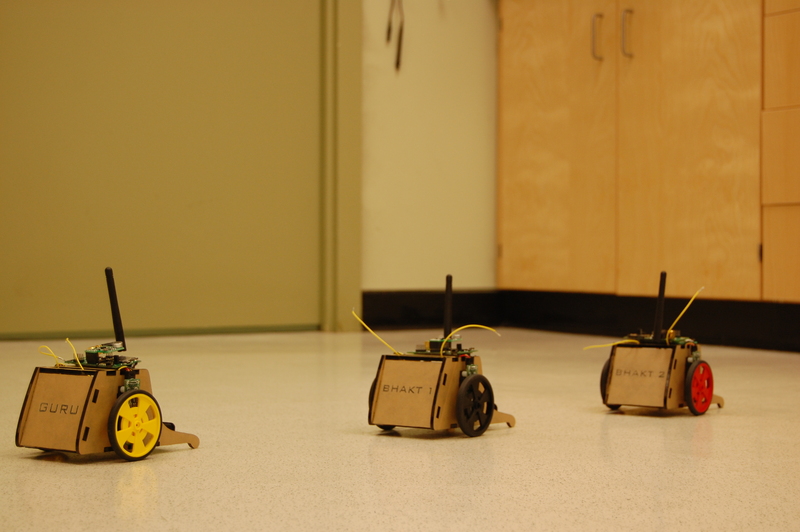 The project was submitted as the final project for ESE519: Real-time and Embedded systems Course. The Project was developed by Jitender Bishnoi, Rahul Khosla and I under the guidance of Professor Rahul Mangharam. We had great support from mLab: Embedded systems lab with resources for the project.